The JK Wrangler 4 Door Rear ExoSkin & ExoCorner Kit adds protection and strength to the vulnerable rear corners of your 4 Door JK Wrangler. 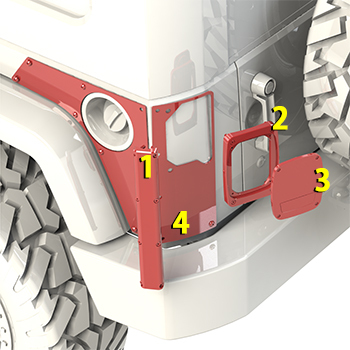 The Rear ExoSkin and ExoCorner Kit was designed to work with MetalCloak'sOverland Rear Flares or your 4-Door Stock Fenders. 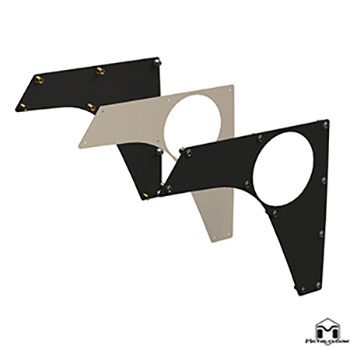 The Rear ExoSkins are made from 11 gauge cold rolled steel, laser cut for a perfect fit, then finished in MetalCloak's signature black texture powder coat. Note: This product does not come in raw metal. The system secures via Riv-Nut mounting and includes a sheet-metal drilling template that takes the guesswork out of installation. 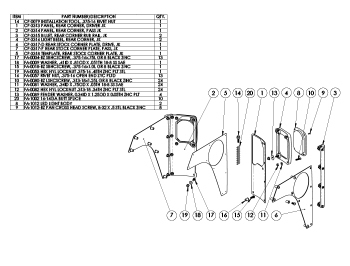 Complete your JK System with the ExoCorner Crawler Kit. 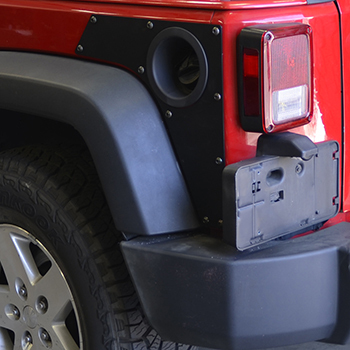 The ExoCorner is the first Corner Guard for the JK that requires no cutting of the JK body just to make it fit. T6 Aircraft Grade Aluminum provides over a 1/4" of True Corner Protection. T6 Aircraft Grade Aluminum replacement LED housing is the first truly solid JK Aftermarket Light System that requires no Body Modification and can be used with or without the ExoCorner bolting right into your stock light position. Much brighter then stock lights, these LEDs are SAE/DOT compliant and wire up directly. Providing just the right amount of protection while eliminating the need to cut up your JK just to make the corner fit.